The reputation of comity and bipartisanship that used to distinguish the U.S. Senate from the U.S. House seems to be vanishing on Capitol Hill – with the nomination hearings of Judge Brett Kavanaugh and subsequent political fallout shining a spotlight on the palpable partisan discord seeping through the chamber. When the 116th Congress convenes in three months, there are few indicators that will allay the concerns of those who believe that extreme partisanship on both sides of the aisle has rendered the nation’s upper legislative chamber increasingly ineffectual in recent years. A frequent refrain heard in D.C. is that members on opposite sides of the aisle no longer talk to each other, and members are therefore less personally invested in striking deals with the other side as well as moderating their tone and ultimately their policy positions. Compounding the problem is the trend of fewer and fewer states being represented by more than one party in the U.S. Senate – thus providing less opportunities for members to build bipartisan bridges even within a state delegation. After the 2016 election, the 115th Congress convened with just 13 state U.S. Senate delegations with members from different political parties – the lowest number since the 1958 cycle: Colorado, Florida, Indiana, Maine, Missouri, Montana, Nevada, North Dakota, Ohio, Pennsylvania, Vermont, West Virginia, and Wisconsin. [That tally could also be read as 12 states as Senator Bernie Sanders in Vermont caucuses with his fellow Democratic delegation member]. Doug Jones’ win in Alabama’s special election last December raised that total to 14 states, but the number of states with split delegations could drop for the fourth consecutive election cycle come January 2019. For starters, only two of the 14 states which currently have split delegations are not on the ballot this cycle: Alabama and Colorado. Added to that baseline are six states where incumbents are projected to hold their seats and maintain the state’s split-delegation status. Maine (Angus King) and Vermont (Sanders) are certain to do so with four other states more likely than not: Ohio (Sherrod Brown), Pennsylvania (Bob Casey), West Virginia (Joe Manchin), and Wisconsin (Tammy Baldwin). That brings the tally up to eight states. However, up to three states could move from all-Republican delegations to split with victories by Democrats in open seat races in Arizona (Kyrsten Sinema) and Tennessee (Phil Bredesen) and what would be a big upset in Texas by Beto O’Rourke against Senator Ted Cruz. Texas has not had a split delegation since June 1993 when Kay Bailey Hutchison won a special election against appointed Democratic Senator Bob Krueger, joining fellow Texan Phil Gramm in the chamber. Tennessee has not had Republican and Democratic U.S. Senators serve alongside one another since December 1994 following Fred Thompson’s special election victory against Jim Cooper. Thompson served one month with outgoing Democrat Jim Sasser, who lost to Bill Frist that cycle. Republicans, meanwhile, have an outside shot of winning their first U.S. Senate election in New Jersey in decades against scandal-plagued incumbent Bob Menendez. Of these four states, only Arizona seems to have at least even odds to flip, bringing the running estimated tally of split-states to nine. Finally, there are six incumbents who could lose this November that would result in their respective states losing their split-delegation status: Republican Dean Heller in Nevada and Democrats Bill Nelson in Florida, Joe Donnelly in Indiana, Claire McCaskill in Missouri, Jon Tester in Montana, and Heidi Heitkamp in North Dakota. At this stage in the campaign, it appears at least two of these states are more likely than not to flip – Nevada and North Dakota – with a decent chance of at least one more of the remaining four states. That would leave the U.S. Senate with a high of 11 or a low of nine states with split delegations come January 2019. Only three Congresses convened with less than a dozen split-delegation states in the direct election era: the 64th (after the Election of 1914), 77th (1940), and 84th (1954). The 1914 election left the chamber with 11 states comprised of one Democratic and one Republican U.S. Senator: California, Delaware, Illinois, Maine, Nebraska, New Hampshire, New York, Ohio, South Dakota, Wisconsin, and West Virginia. Following the 1940 election, there were also 11 states with split delegations – 10 states with one senator from each major party (California, Connecticut, Idaho, Illinois, Indiana, Massachusetts, Michigan, New Jersey, Pennsylvania, South Dakota) and one state with Republican and Progressive senators (Wisconsin). However, in late 1941, Colorado Democratic U.S. Senator Alva Adams passed away and Republican attorney Eugene Milliken was appointed to the seat to join Democrat Edwin Johnson for the 12th split-delegation state in the 77th Congress. Finally, the 1954 cycle resulted in a record low nine states with one U.S. 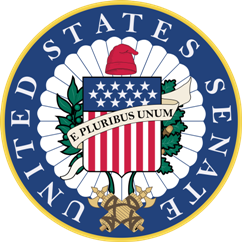 Senator from each party: Arizona, Delaware, Illinois, Massachusetts, Michigan, Minnesota, Nevada, New York, and Wyoming. From the 64th through the 115th Congresses, there have been an average of 16.7 states with split U.S. Senate delegations, with a peak of 27 states during the 96th Congress following the Election of 1978. Previous: Will Minnesota Democrats Take Back the State House? Next: Can Billie Sutton End the Nation’s Longest Democratic Gubernatorial Drought? 5 Comments on "Number of Split US Senate Delegations Could Drop to 60+ Year Low After 2018"
“…also be read as 11…fellow Democratic…” Susan Collins of ME seems highly likely to remain a R – especially if she decides to vote in favour of “mr keggers” for a SCOTUS spot in a few hours’ time! Indeed – that 13* could be functionally downgraded to 12, not 11 – thanks! 3. AZ: In the wake of the Kavanaugh conflagration, its junior senator – indeed, the chamber’s “most junior senator” – seems even more certain to keep his word and exit the “increasingly ineffectual” body, no later than midday of 3rd of 01/2019. Regardless of the result of the state’s GUV election, his (#3) seat is guaranteed to remain with the same party [per state election law, though, unlike WY, the holder of the post presumably possesses wide discretion (whom/the type of R) in filling the forthcoming vacancy]. Should Representative “McShifty” lose the election to her in-state HR colleague from the greater Phoenix region, she might end up in the chamber anyway via appointment – presumably provided a) Ducey is returned to the post; and b) the “East Tucson & Southeast” area congress member does not lose by, say, 7.5% or more. 4. “…Thompson’s special election victory against Harlan Matthews…” Partially correct; mr “Red Pickup Truck” did SUCCEED Matthews, but did so by defeating current Nashville-based Representative “Jim” Cooper (Matthews was intended to be a “caretaker” senator from the get-go; Cooper represented the sprawling, meandering “Northeast, Central, & Southwest” constituency at the time of his ill-fated US Senate bid). His underwhelming primary showings notwithstanding, its current occupant (“Lamar!”) apparently plans to be there much longer than the departing “Lil Bob” Corker. Another good catch – thank you!